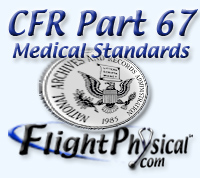 § 67.411 Medical certificates by flight surgeons of Armed Forces. (a) The FAA has designated flight surgeons of the Armed Forces on specified military posts, stations, and facilities, as aviation medical examiners. (b) An aviation medical examiner described in paragraph (a) of this section may give physical examinations for the FAA medical certificates to persons who are on active duty or who are, under Department of Defense medical programs, eligible for FAA medical certification as civil airmen. In addition, such an examiner may issue or deny an appropriate FAA medical certificate in accordance with the regulations of this chapter and the policies of the FAA. (c) Any interested person may obtain a list of the military posts, stations, and facilities at which a flight surgeon has been designated as an aviation medical examiner from the Surgeon General of the Armed Force concerned or from the Manager, Aeromedical Education Division, AAM400, Federal Aviation Administration, P.O. Box 26082, Oklahoma City, Oklahoma 73125. 67.401 Special issuance of medical certificates. 67.403 Applications, certificates, logbooks, reports, and records: falsification, reproduction, or alteration; incorrect statements. 67.405 Medical examinations: Who may give. 67.409 Denial of medical certificate. 67.411 Medical certificates by flight surgeons of Armed Forces. 67.415 Return of medical certificate after suspension or revocation.